Ready for some ballpoints? 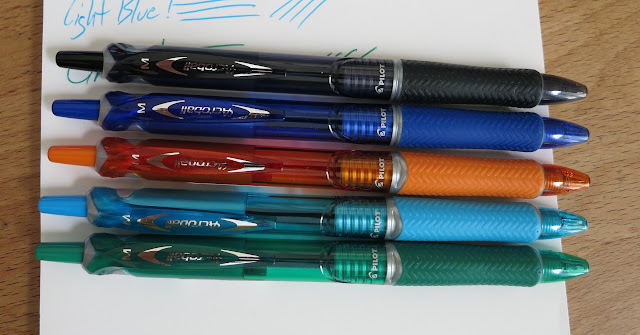 You know...those things that you sometimes use when a fountain pen just won't work, or those things that you had to other people when they ask to borrow a pen? Well, some of them are much better than others. 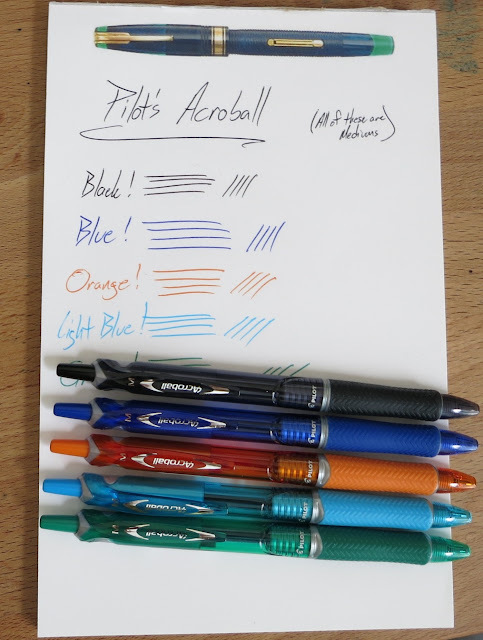 I'm a fan of these Acroball pens. Originally I could only find them in black (Pure White was the model that I had), and then I found the translucent blue ones. 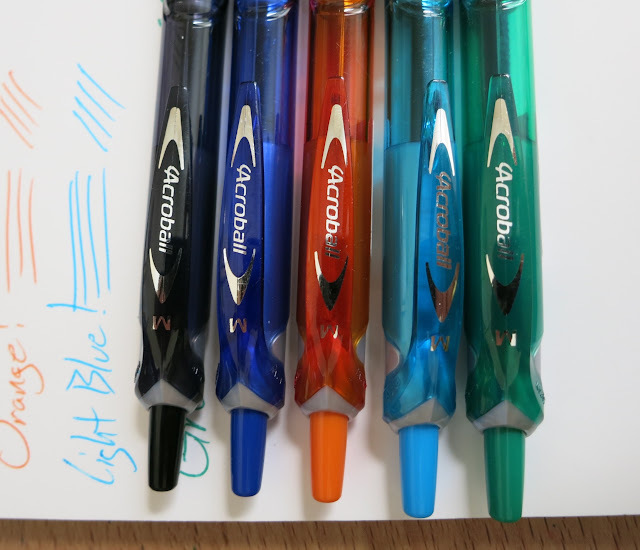 Now, though, there are lots of ink colors. The grips are nice. The knock feels good. 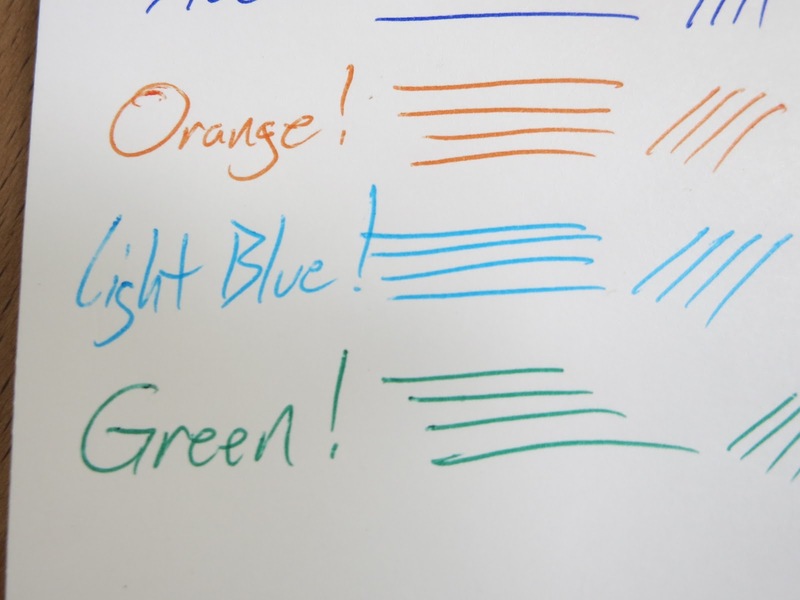 The ink is consistent and opaque. I don't know what's not to like. If you've got to write with a ballpoint, then these are darn good. I think the styling is pretty solid. It's not got a lot of chrome colored accents. There isn't any faux carbon fiber. It's just kinda clean and muted. The clips are solid and they don't feel fragile at all. 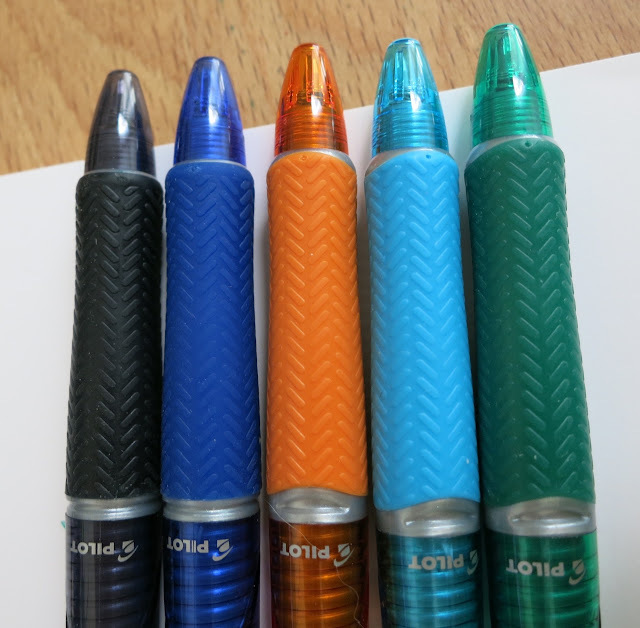 As I mentioned above, the grips on these pens are excellent. 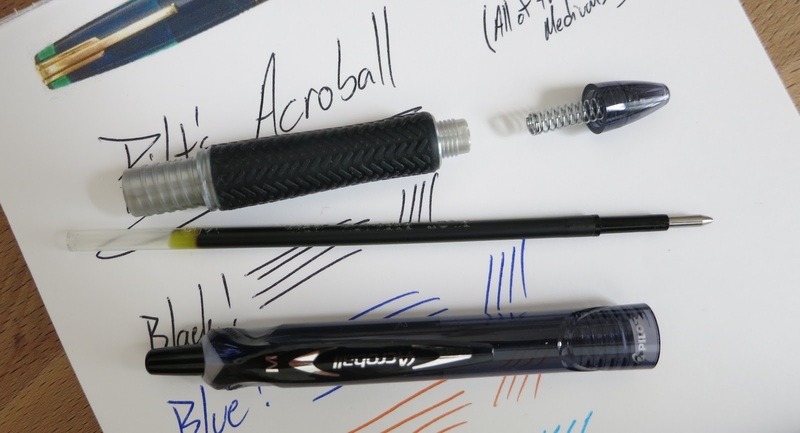 The contour and the grip pattern make for good control and comfortable writing. 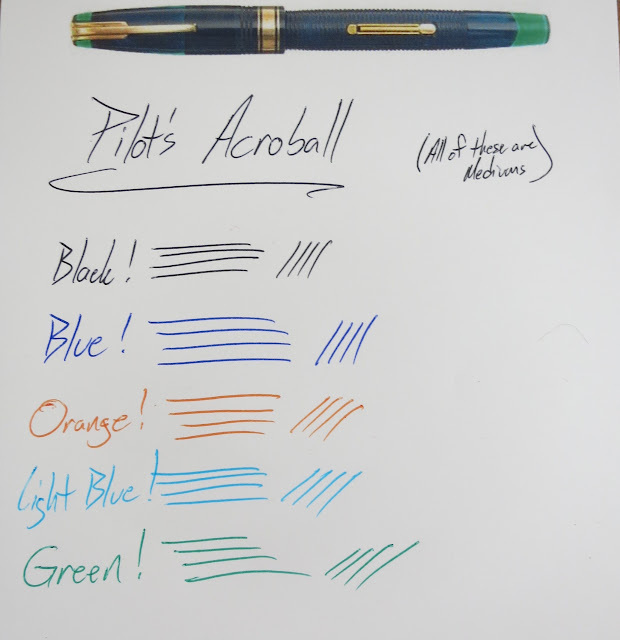 The Acroball pretty much has the same internals as other ballpoints.